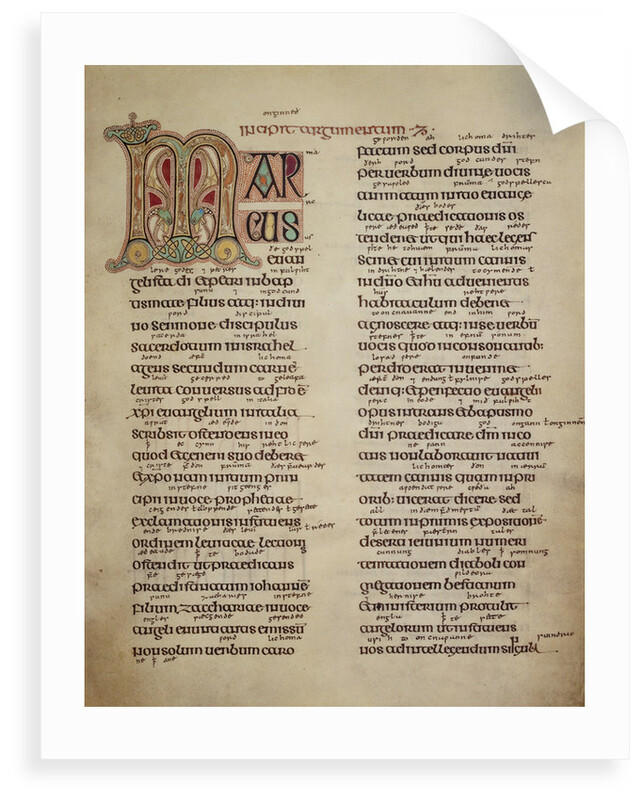 In this preface to St Mark's Gospel in the Lindisfarne Gospels, the name of the evangelist can be seen, beautifully decorated. The heads of two creatures are depicted in the letter 'm'. 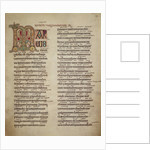 The Latin text and decorations were written in the 7th century by the monk Eadfrith, who became Bishop of Lindisfarne in 689 and died in 721. 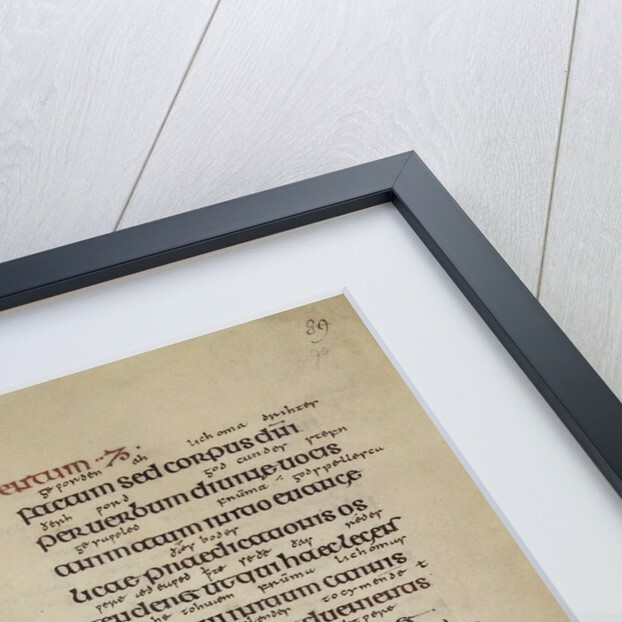 In between the lines an Old English gloss can be seen, which was added by Aldred, Provost of Chester-le-Street, in the mid-10th century. 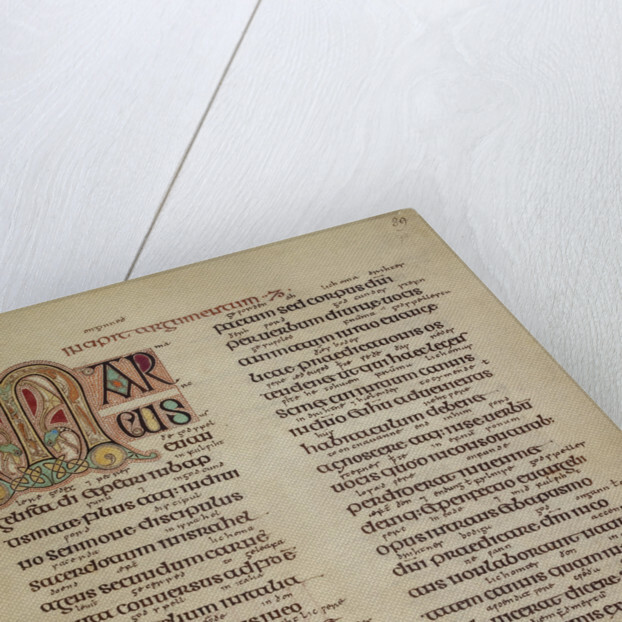 The Lindisfarne Gospels is one of the most magnificent manuscripts created in the Middle Ages. Cotton MS Nero D.IV, f.138v. 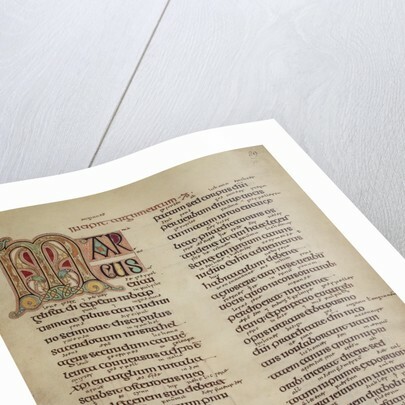 Explore the collections Anglo-Saxon Kingdoms: Art, Word, War, Treasures of the British Library.